We can work with you to build a bespoke TrekkSoft package that tackles your business' challenges and supports future growth. "Our goal is to have long-term partnership with our Enterprise client s. We want to see your company overcome challenges, achieve goals and grow using our solution. We look forward to moving the travel industry forward, together." Track sales and bookings from your online, offline and OTA sales channels. Adjust last-minute availability to maximise revenue. 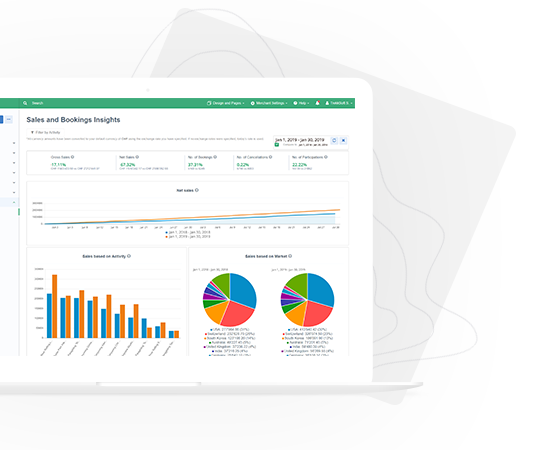 Have multiple accounts for each of your regional teams while keeping an overview of your company's sales and performance. If you don't require our booking engine, connect your own booking system to our TrekkConnect Channel Manager using a simple API. Receive expert consultation and technical training to increase operational efficiency and improve your tech infrastructure. Get a full overview of your sales and bookings from multiple websites, online resellers, in-store sales and more. "The main reason we chose to work with TrekkSoft was to connect to our distribution partners via the channel manager. This improves our workflow and reduces manual mistakes. Furthermore, it helps to increase sales and optimises the load factor of our tour buses. The TrekkSoft App offers a view of current bookings and upcoming availability, so new transactions can be taken anytime from anywhere. "Now we accept many bookings on mobile, on the spot, a few hours before departure. We also take pre-bookings, use promotional codes and accept early bookings. We have the opportunity to receive bookings and actually get paid the same week for those that were reserved months in advance." Maximise your inventory to maximise revenue. View availability, adjust pricing and add resources across your sales channels, all from one dashboard. "Our administrative effort for managing bookings has dropped by 70%. It's now easier for us to control resources so processing time per tour is reduced by 30 minutes." With our channel manager, automate data entry and data export processes, reduce cut-off times and maximise your inventory all whilst reducing costs on administration. "With TrekkSoft, bookings from multiple channels are automatically added to one platform. Automation of manual reservations has gone from 15% to 56%, decreasing human error." 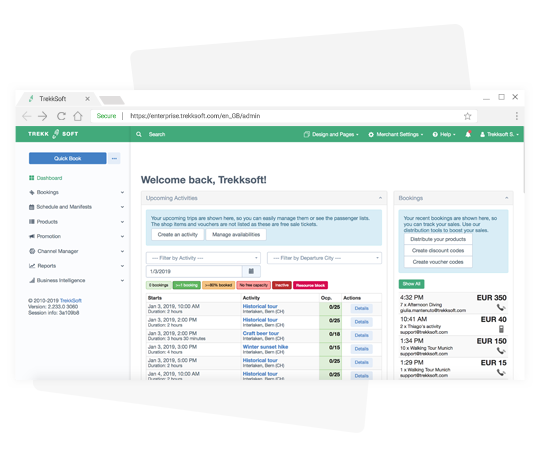 Adapt your custom solution further by connecting TrekkSoft to your 3rd party tools. This could include your reporting or CSM system. 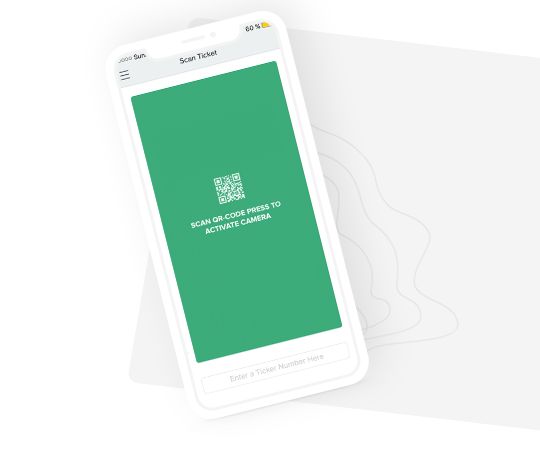 "Zapier lets you connect TrekkSoft to over 1000 apps to create workflows that streamline your marketing or admin efforts, giving you more time to deliver unforgettable tours and activities. 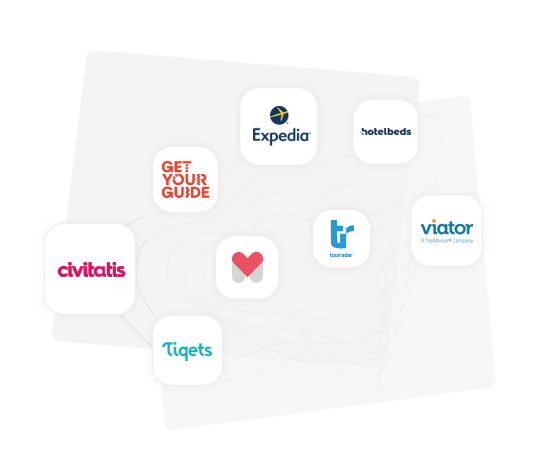 Via this integration, you can export Guest Details and Booking Details from TrekkSoft to any 3rd party tool." In this call, we want to get a clear overview of what your business needs. We will spend time learning about your products, your operations and the problems you face. We want to dig deeper into your business to learn about your pain points and time-consuming tasks. We want to find out about your business's goals for the future, and share our goals with you to see how both align. We'd be happy to meet in-person or via a video call. Let’s get everyone together, either in-person or on a video call, to go through your must-haves and nice to have options. We can show your team what TrekkSoft can do for each part of the business. We will introduce our product and development team to your technology team to ensure everyone is on the same page. Based on everything we’ve discussed we will present a proposal and a timeline to implement your custom solution with TrekkSoft.